This is it! The final three teams will be decided on this penultimate Leg. And it begins with teams taking a bus from Puno to Juliaca. In Juliaca, teams will hop on a short plane ride to Lima, Peru. 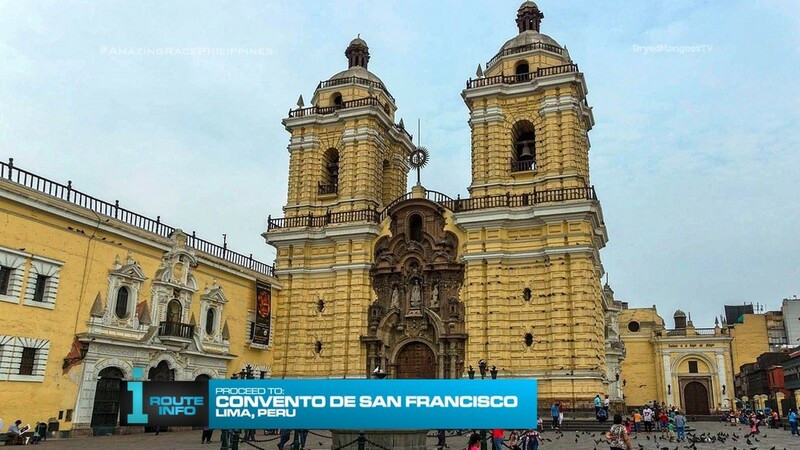 Once in Lima, teams must find Convento de San Francisco to find their next clue. 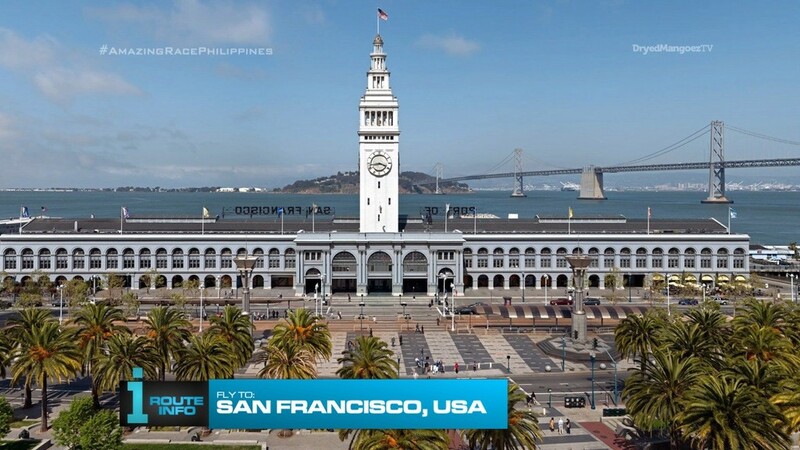 And that clue tells teams to make their way to another San Francisco… San Francisco, California, USA that is! Teams will all be on the same United Airlines flight via Houston arriving at 9:55am. While still at San Francisco International Airport, teams must search for Lilou who will give them their next clue. 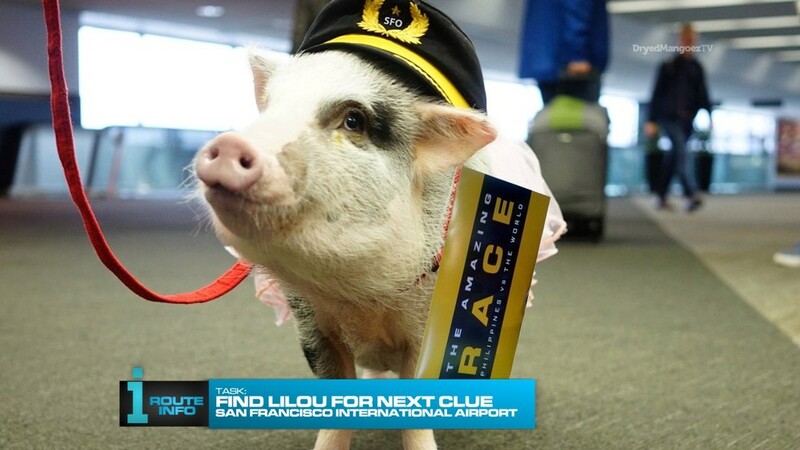 What they don’t know is Lilou is a friendly pig who happily greets passengers at SFO. 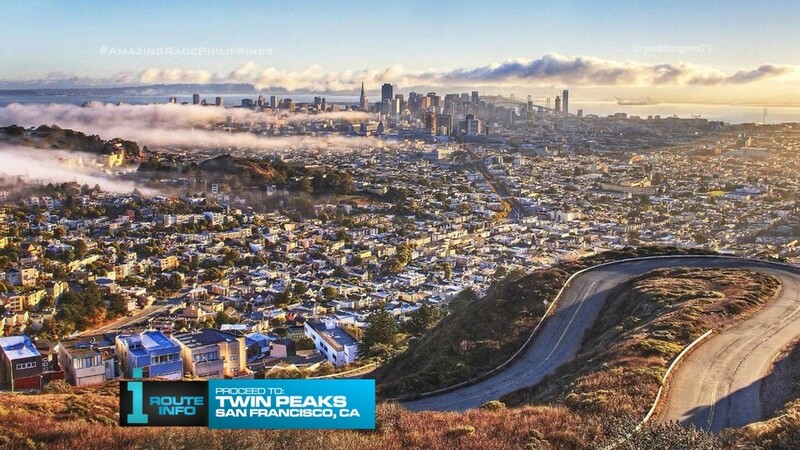 Teams must now make their way to the top of Twin Peaks for their next clue. That clue directs teams to search the city below for the next clue. They must keep their eyes peeled for a HUGE flag flying atop St. Ignatius Church on the campus of the University of San Francisco. The cluebox will be in front of the university’s Gleeson Library. 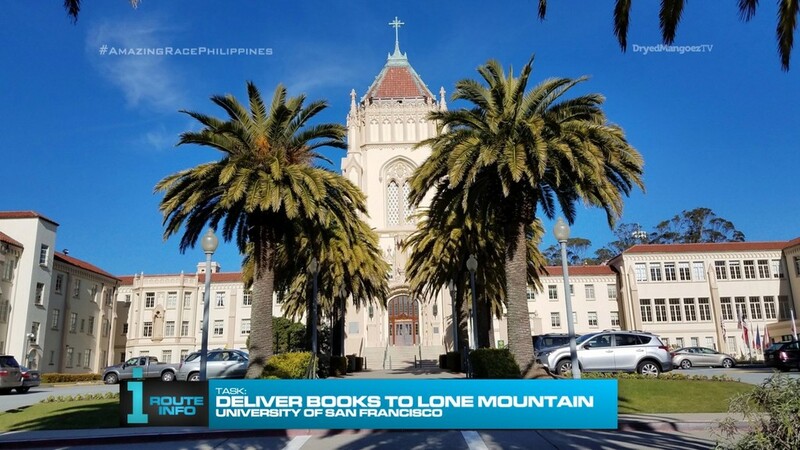 Teams must collect a stack of books and transport them to the Del Santo Reading Room on the Lone Mountain campus of USF in order to receive their next clue. 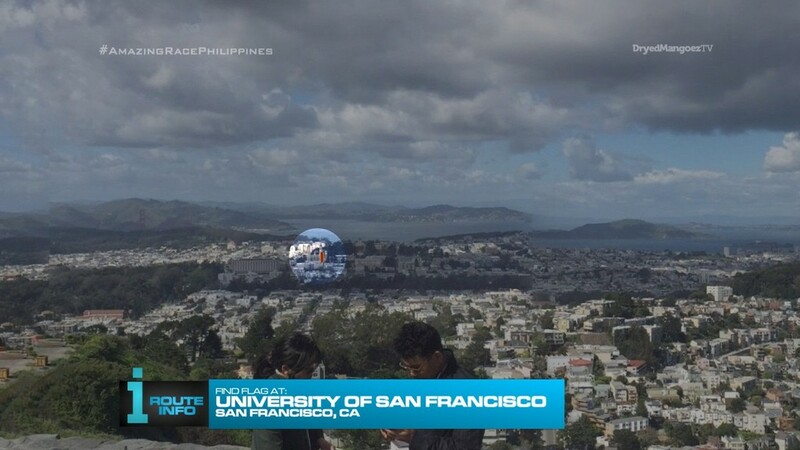 Teams must now make their way to the Palace of Fine Arts and search the grounds the next clue. 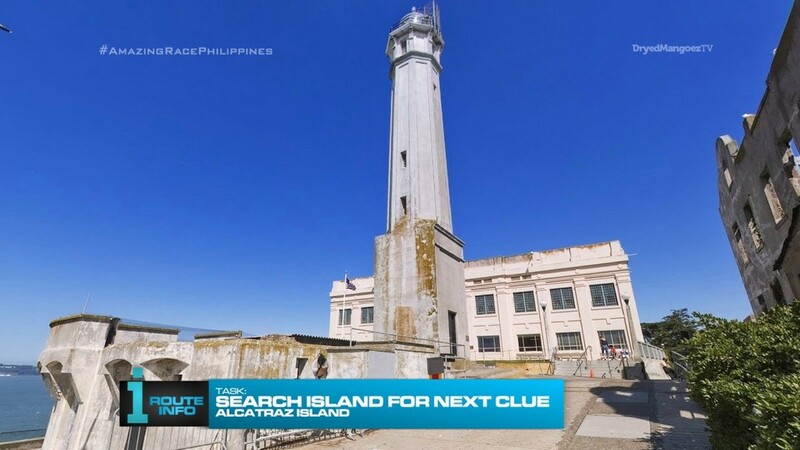 That clue tells teams to “Find the monument dedicated to the Battle of Manila Bay.” They must figure out that the clue refers to the Dewey Monument in Union Square, built to honor Admiral George Dewey and his victory over Spanish forces in Manila Bay during the Spanish-American War. 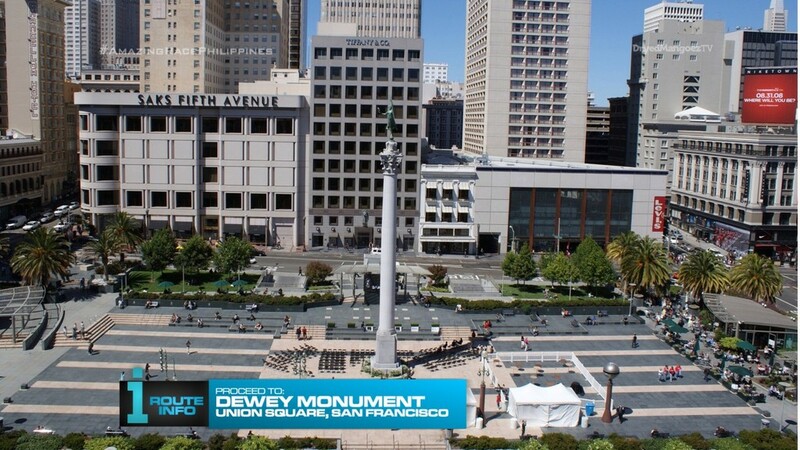 At Union Square, teams will find the Road Block: Who can put a ring on it? This is the 12th Road Block of the Race and each team member can do no more than 6 up to this point. 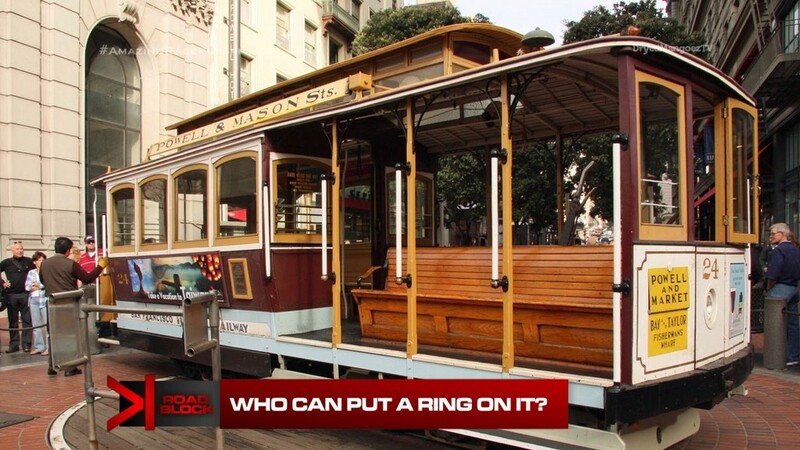 For this Road Block, teams will board an iconic San Francisco cable car and learn a tune on the cable car’s bell. They will then be taken to the cable car turnaround where they must manually turn the cable car themselves before correctly performing the tune. If they can ring their bell correctly, the reigning cable car bell ringing champion will hand them the next clue. If not, they must start all over again. Teams must now make their way on foot or by public transportation to the Ferry Building. And here, teams will find the Detour: Big Catch or Big Hat. 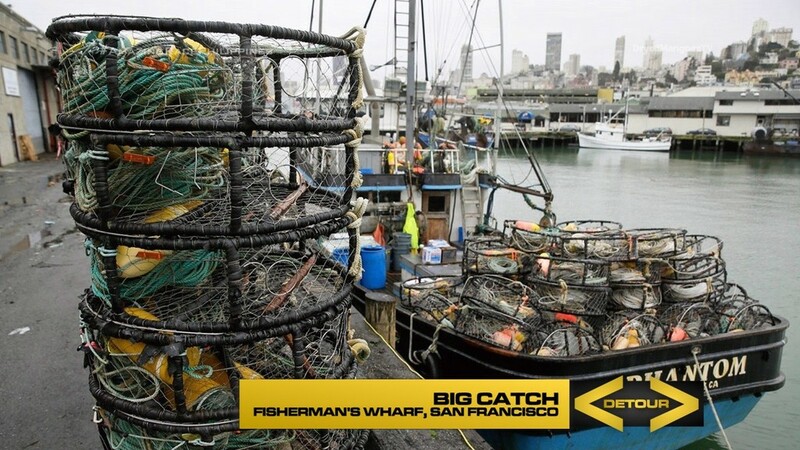 In Big Catch, teams must make their way on foot to Fisherman’s Wharf where they will need to collect and deliver 10 cages of freshly caught crab to various restaurants in the busy tourist area. Once they have delivered all the cages, they can exchange their receipts for the next clue. 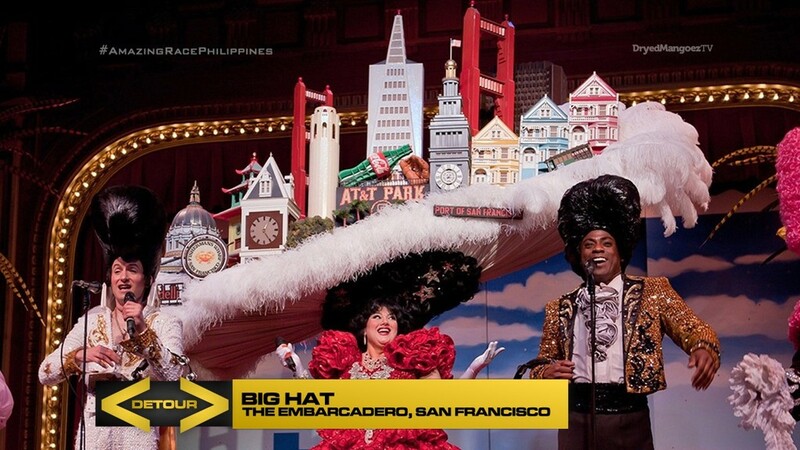 In Big Hat, teams must choose a replica of the elaborate headdresses worn at the popular Beach Blanket Babylon show in San Francisco. 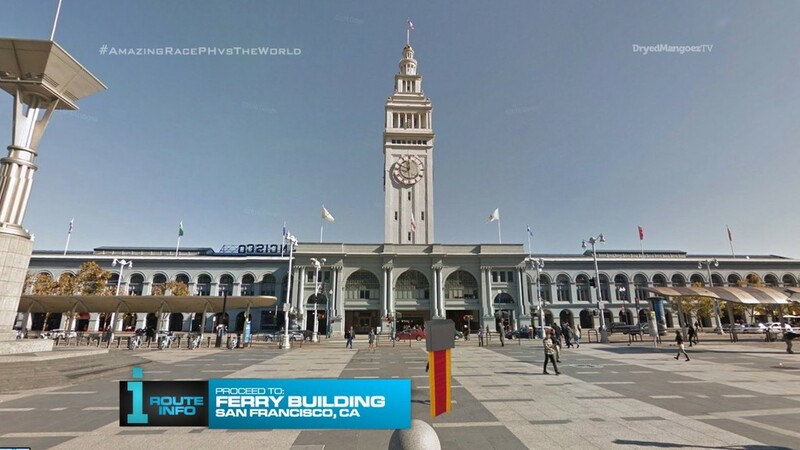 Both team members must wear a hat and walk along a mapped route along the Embarcadero. Along the way, they must persuade 30 people to take photos with them using a Samsung Galaxy S8. When they are able to show the cast members of Beach Blanket Babylon their 30 people, they will be given the next clue. 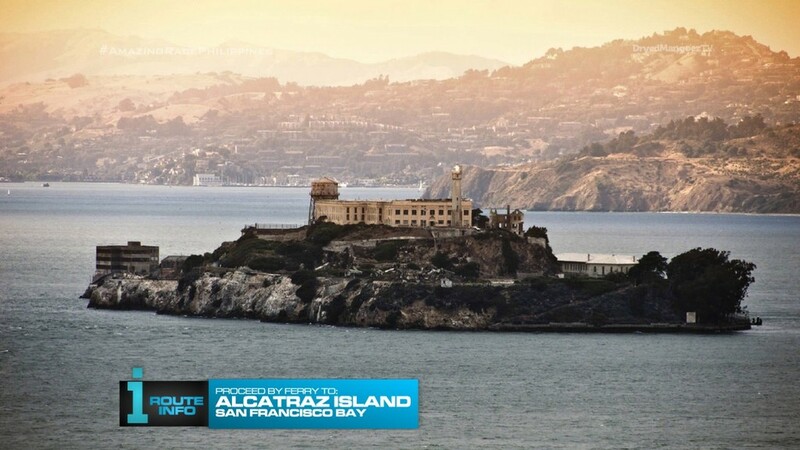 Teams must now take a ferry to the infamous Alcatraz Island and search the grounds outside the prison for the next clue. That clue reveals a Double Road Block: In or Out. For this Double Road Block, one team member (In) will be imprisoned and their teammate (Out) must help them escape. 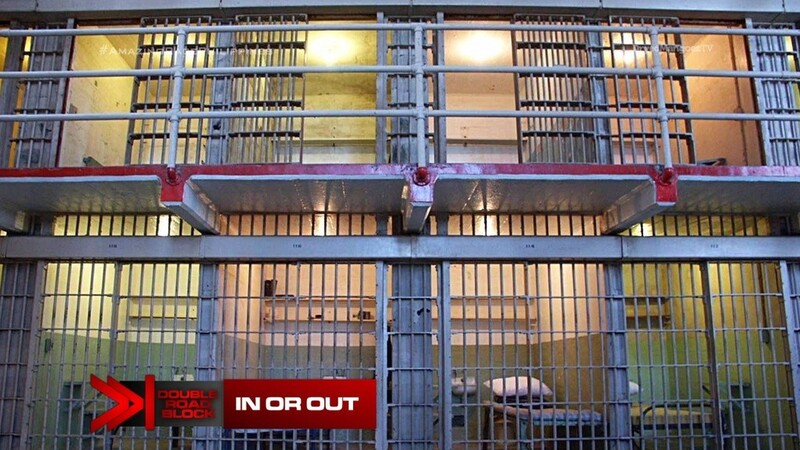 The jailed team member will be put in a specific cell with a list of clues. The teammate will enter the prison and search for their partner who will hand them those clues. Those clues will lead teams to a large gameboard outside where they must recall certain tasks from the Race. Teams must remember which Leg each task appeared on. The five numbers will unlock a safe which contains the key that will release their partner from the cell. Teams will also get to keep a copy of their gameboard until further notice. 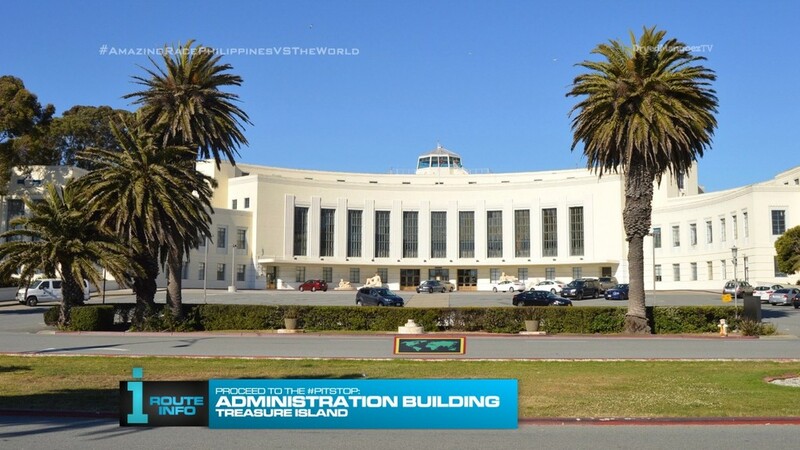 The Treasure Island Administration Building. Anyway, this is the penultimate Leg and I think the penultimate Leg should always be a mini-Final Leg. Going back to Peru first, logistics need to have teams in Lima. But they could just be magically transported there during the Pit Stop. Visiting the Convento de San Francisco before visiting San Francisco, California is just something cute to include. But given how full this Leg is, we can eliminated that Route Marker. Now in San Francisco, Lilou has been awesome and fun whenever I run into her at SFO. So it should be a fun little Route Marker and activity at the start of the Leg. There are just so many Points of Interest in San Francisco. And I wanted to included many of them during TARPHDME’s first visit in season 4. Twin Peaks is definitely a great location to use and the typical “Look below/far” for the flag is standard TAR. Being a Dons alum, I know how tiring it can be just to go from the lower campus up to Lone Mountain at USF. 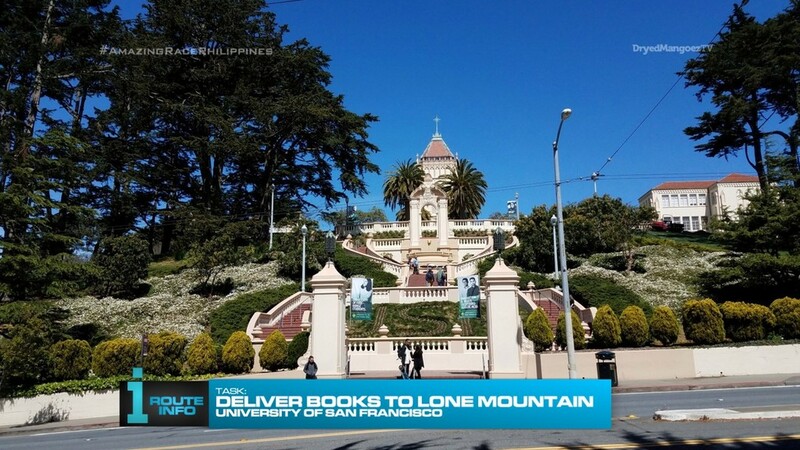 So why not make it a task on The Amazing Race and make it harder by carrying a huge stack of books. Trust me, teams may just collapse halfway up the hill. 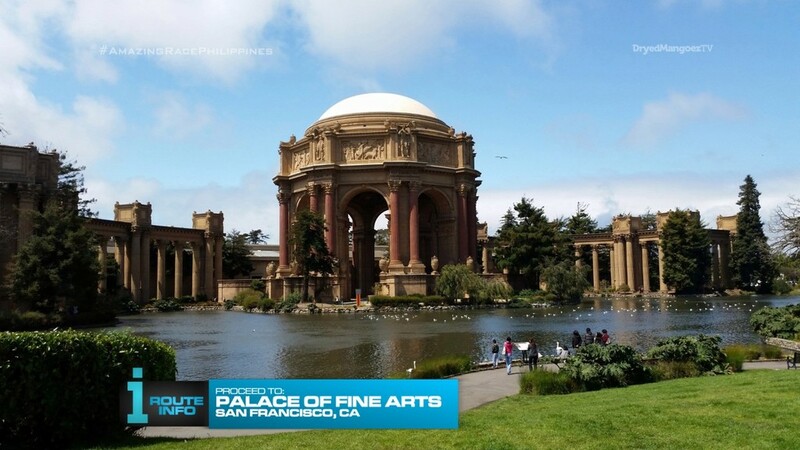 The Palace of Fine Arts is another beautiful location. There could even be a task here possibly. But the bulk of this Leg will center around downtown. San Francisco’s cable cars are one of the city’s most iconic treasures. And the bell ringing is a great annual event. It makes for a great Road Block here. Lots of walking downtown. It’s a pretty short walk to the Embarcadero from Union Square, but at this point, teams might be pretty exhausted. The Detour is great, in my humble opinion. Hehe. Can’t get any more San Francisco tourist than eating crabs at Fisherman’s Wharf. And Beach Blanket Babylon is a San Francisco institution. The huge hats/headdresses should make for a hilarious task. Hopefully both Detours will be chosen. This would be a good Detour for an early Leg in San Francisco as well. Alcatraz is another iconic locale. I think there could be another more creative task involving the prison. But this one is simple enough and it will relate to a task in the Final Leg. 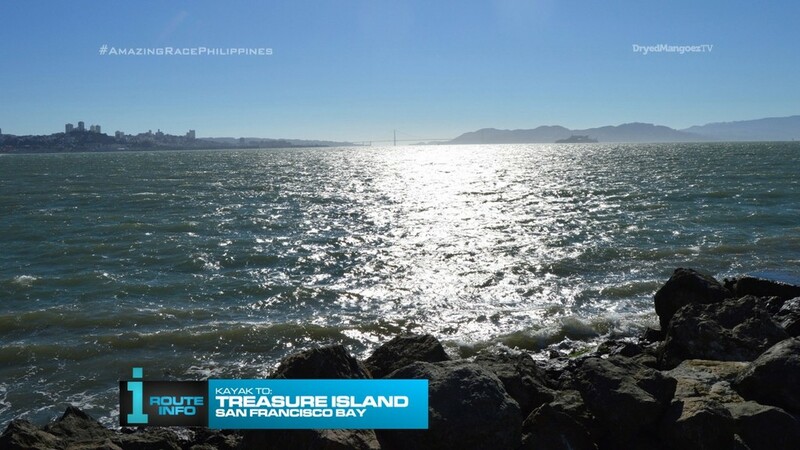 Finally, the Pit Stop on Treasure Island should be stunning. The first San Francisco Leg had teams on jet skis in San Francisco Bay by the Golden Gate Bridge. Would make for stunning shots, yeah? 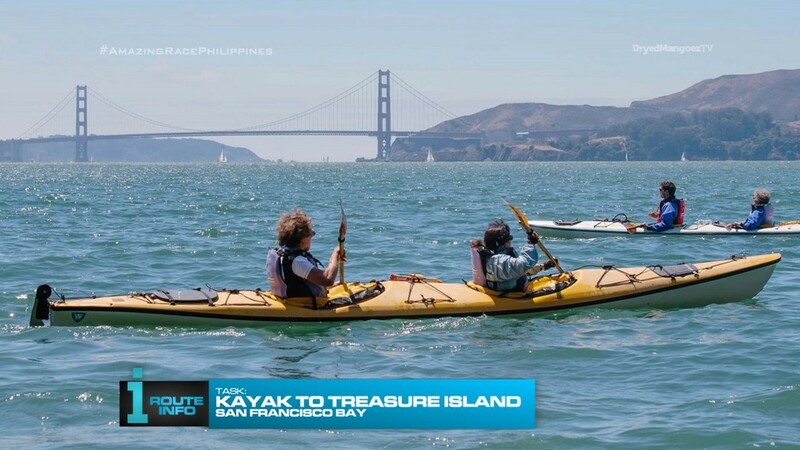 Definitely wanted to recreate that here and kayaking from Alcatraz to Treasure Island with the Bay, the City and the Bay Bridge as backdrops should be absolutely breathtaking in 4K UHD drone shots. Woohoo! I originally had teams driving themselves this Leg, but taxis are so hard to come by in the City. That should add some fun drama here. Or maybe it might be unfair if the Leg ends up being decided by a taxi. Anyway, the whole last half of the Leg does not require teams to get in a car anyway. Also, the ferry to Alcatraz might become a huge equalizer and I don’t know if I want that. Overall, a great, full Leg in my hometown! Yay! ← Recap: The Amazing Race 29, Episode 2 – "Pain is temporary, elimination is forever."